Predicting marathons is hard. If you rely on form charts and personal bests then the unpredictability of 26 miles spits you out and makes you look like a neophyte. If you get too cute and pick upsets then you might fare even worse. The latter happened to me last week. I went against all rational thought and didn’t pick Lelisa Desisa despite the fact that he was the best runner in the field. The surprise instead came in the women’s race where Caroline Rotich, who had the ninth fastest time in the field and had never won a major marathon, won the race. You would have been brave to put her in your top five, let alone pick her to win. The predictions gets a little easier in a paced race, like Sunday’s London Marathon. There still are many variables, but patterns tend to develop when the first half of the race is planned in advance. The countless uncertainties in a marathon are mitigated by the presence of rabbits who guide the race and usually weed out all but the best. Using these patterns, I’ve made my picks for the London Marathon. I’m not taking specific athletes though, rather a type of runner that usually fills that position. Let’s call it an archetypal prognostication. This format gives me much more wiggle room and can’t be any worse than my normal guesses. As I mentioned above, the presence of pacemakers gives an advantage to the established names. For the men’s race, that means either Wilson Kipsang or Dennis Kimetto will win the race. Those two have been tapped as favorites because they are the most recent world record holders in the marathon and both had impressive performances in the fall. Kimetto is less experience and is facing an incredibly deep field. The pace will be fast and it will be crowded. The good news for Kimetto is he has thrived in a fast, competitive race before. In 2013, he ran even splits in Chicago and held off Emmanuel Mutai. After the race he made everyone feel bad when he said he had only been seriously training for about 15 minutes. Kipsang is on an incredible hot streak and has won three World Marathon Majors in a row. He shares the headline for this race because Kimetto is the only man in history to break 2:03 and that has to be worth at least the designation of co-favorite. In the women’s race, the top four Kenyan women have been labeled the “Fantastic Four.” I think Mary Keitany and Edna Kiplagat are slight favorites over Priscah Jeptoo and Florence Kiplagat, but “Fantastic Four” has a much better ring to it than “Terrific Two” so I don’t blame the race organizers for going that route. Keitany is younger than Kiplagat, has a faster personal best and ran better in the fall season. But Kiplagat has a way of sticking around and she is the defending champion. Keitany has shown the tendency to be super aggressive so her floor and ceiling are higher than Kiplagat’s. So there’s your first pick. Pencil in Wilson Kipsang or Dennis Kimetto and Edna Kiplagat or Mary Keitany as the 2015 London Marathon champions. There is no shame in being labeled “second tier” in this race. The difference between the first five runners in each field is incredibly small and the accumulation of talent is off the charts. One person from this second group is bound to have a good day and challenge for the win. Ultimately, they will come up short and we will either second guess their tactics or heap praise on them for finishing as high as they did. Eliud Kipchoge won in Chicago and only ever really runs 2:04/2:05 in marathons. That’s usually gets you a pretty high place. In a career full of runner-up finishes, Emmanuel Mutai’s career reached an apex this fall in Chicago when he ran the second fastest time ever, but finished second to Dennis Kimetto. If he does it again on Sunday, he will have eight second place finishes in major marathons. 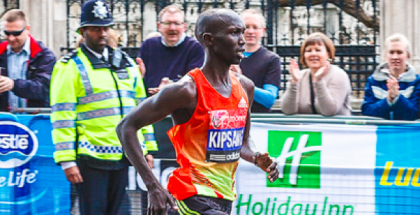 Stanley Biwott took second in London last year and was competitive with Kipsang. That was the first time he really fulfilled his potential in the marathon. He’s an intriguing pick because he still could be getting better. The women also have a trio of runners who are good enough to win the race. Florence Kiplagat (the third or fourth member of the “Fantastic Four”). Last year, she was second behind Edna Kiplagat in London and third in Chicago. Her personal best comes from her first race so she does have the feeling of untapped potential like Biwott. Two Ethiopians round out the projections for second place, Aselefech Mergia and Tirfi Tsegaye. Mergia’s biggest wins are from Dubai, which should come with a warning label or at least a sign to proceed with caution before picking. 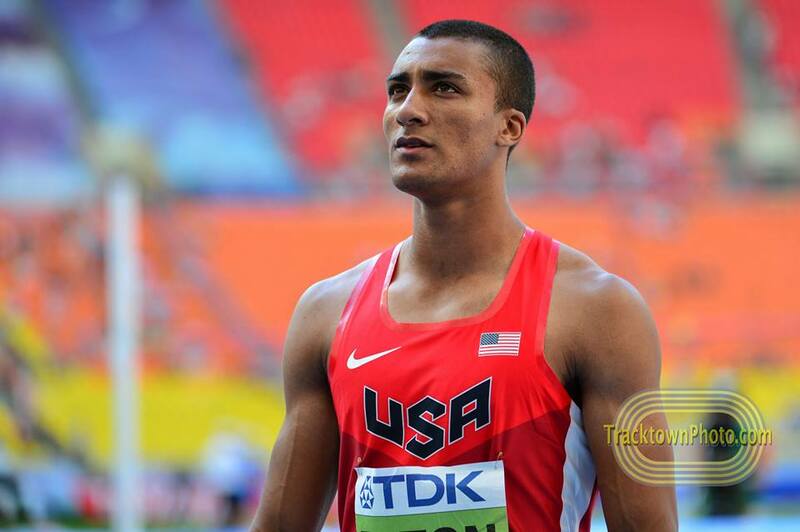 Tsegaye looked very good winning Berlin last fall and ran a personal best. This spot is reserved for someone that is either very young or is new to the marathon. Your Tirunesh Dibabas or Ayele Absheros of the world. They run, they do well, we lose our minds calculating what they might be possible of in the future and set completely unrealistic expectations. This year’s candidate for the men is Tsegaye Mekonnen. In his first attempt at the distance he ran 2:04:32 in Dubai last year. The women don’t really have anyone that fits this category, unless you want to roll the dice with Rkia El Moukim. You probably don’t know who she is, but she debuted in New York last year and placed fourth. A better pick might be to go back-to-back with one of the runners we tabbed for second place. Whoever you didn’t pick to win, let’s slot them in here. I’d love to see Kipsang and Kimetto square off the last 10 kilometers. It seems too good to be true and the chance of a missed water bottle, cramping thigh or defrocked Irish priest running on the course is too large to count on it happening. The golden rule of track and field (and marathons) is that if you really want to see it happen, it’s probably not going to happen. Kipsang/Kimetto and Kiplagat/Keitany will be dropped before the showdown over the final miles begin. The unfortunate favorites will drift off the pace, but soldier on to the finish line. They will still finish high enough to chalk it up as a bad day and, more importantly, really complicated the Olympic selection process for Athletics Kenya. This is mostly directed at the women’s race. The men have a pretty solid first 10 that is going to be hard to crack. The women’s field has some breathing room higher up on the start list. That means only a few of the top seven women need to drop off to pave the way for Tetyana Gamera,Tatyana Arkhipova, Ana Dulce Felix, or Sara Moreira to sneak in and remind us that yes, European does indeed have marathoners. My pick is Dulce Felix or Moreira because they have the benefit of teamwork. Tetyana and Tatyana could get so confused when they hear people cheer for them that it seriously disrupts their race rhythm. Tetyana has to sound an awful lot like Tatyana when you are running around 5:30 per mile pace. Europe’s best chance for the men is Serhiy Lebid of Ukraine and Aleksey Reunkhov of Russia. The better play is to slot one of the runners above in this position because otherwise you are saying a 39-year-old Ukrainian is going to beat Kipchoge, Emmanuel Mutai or Stanley Biwott. They’ll probably say something really impressive at the press conference on Friday like their training is going better than ever or they are injury free for the first time in their career. Don’t fall for the trap. Maybe one day we will hear someone at a pre-race interview say that their build-up was horrible and they have no chance to be competitive. Until then, I assume everyone is going to say that they are in the best shape of their life every time. Geoffrey Mutai and Priscah Jeptoo are the best fits for this spot. In a field like this, sixth for Mutai is still a very strong showing. He finished in that same position last year and looks to be on the downside of his (ridiculously good) prime. Jeptoo was sensational in 2013 and was the favorite last year. She dropped out with an injury issue. If she ran in Boston last week, she could have won the race. Against this field, she will have to be close to her fitness from two years ago to be competitive. It’s not impossible. Maybe she is fully healthy and she will run 2:19. There is just too much uncertainty around her and too many other known quantities in the race to pick Jeptoo with confidence.